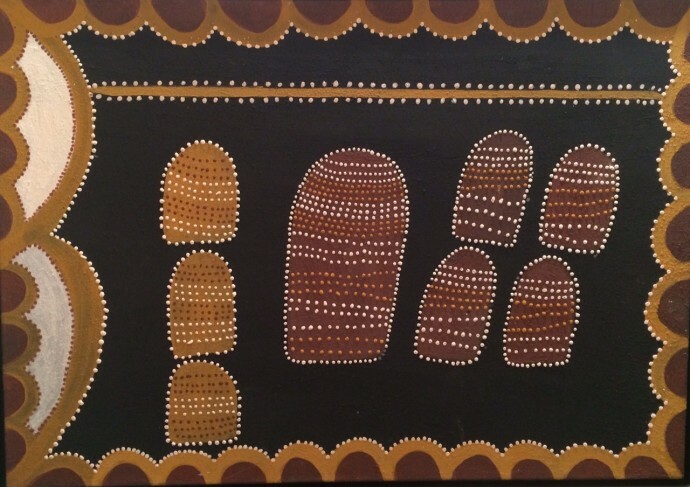 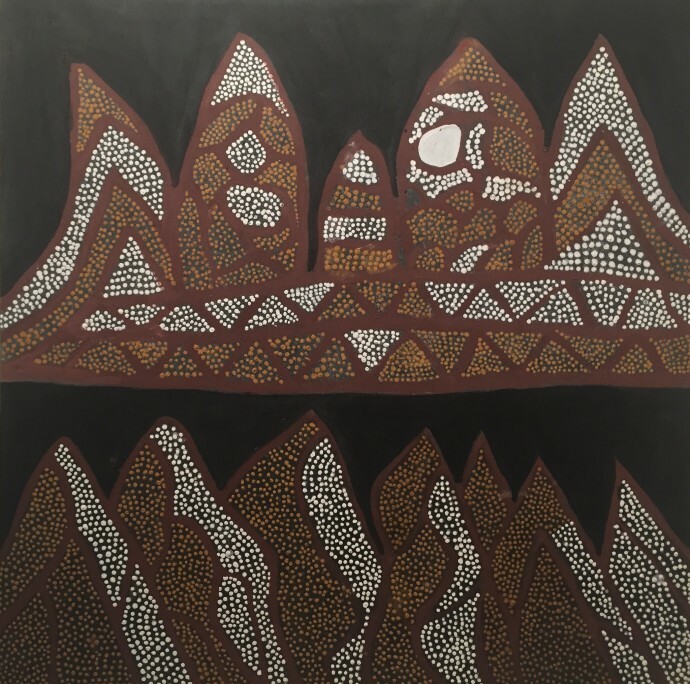 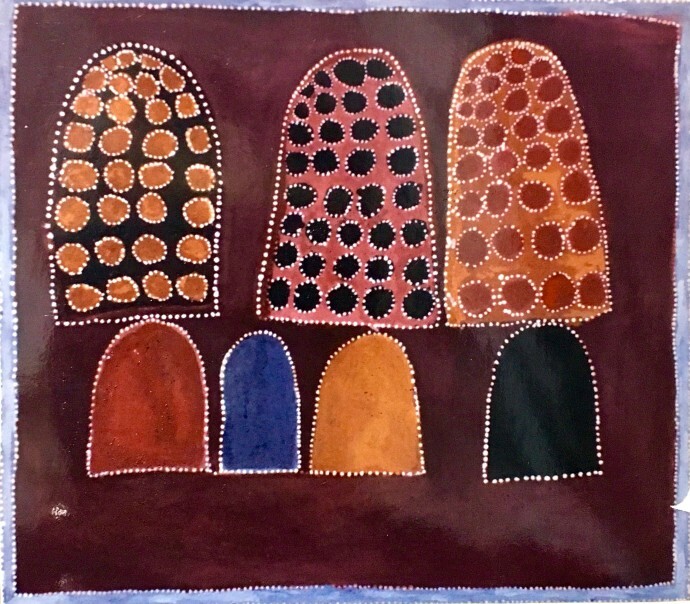 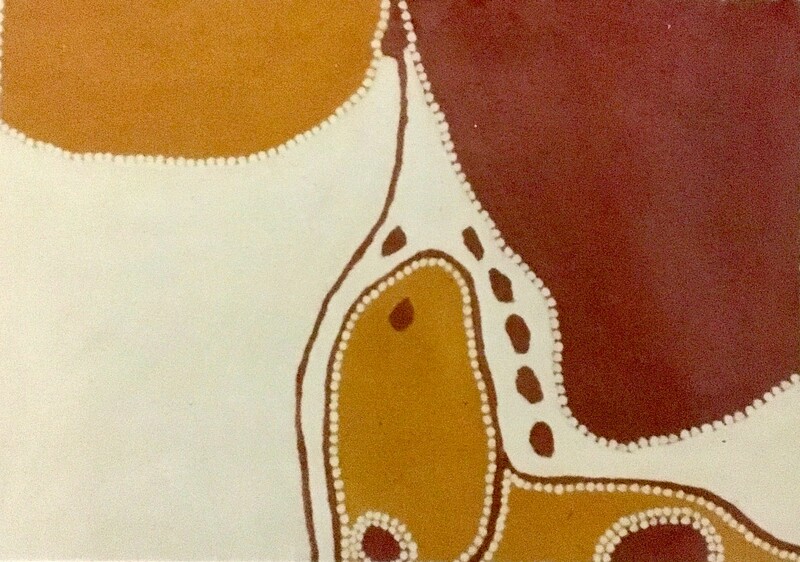 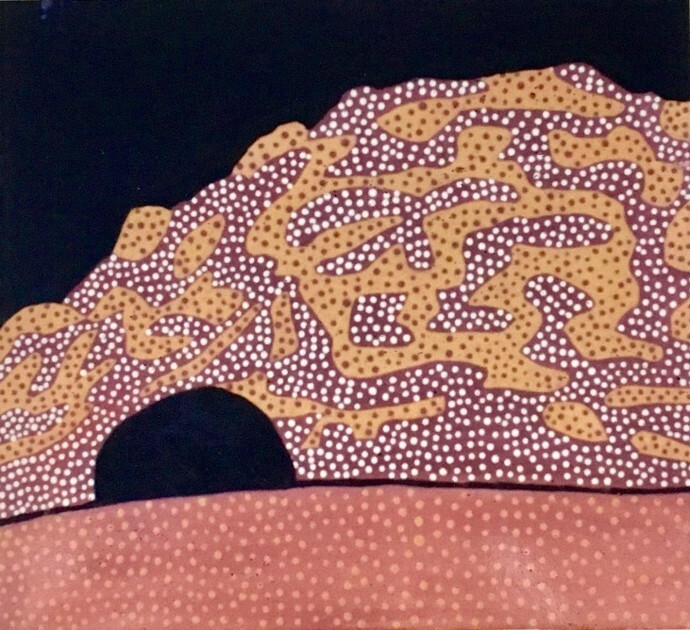 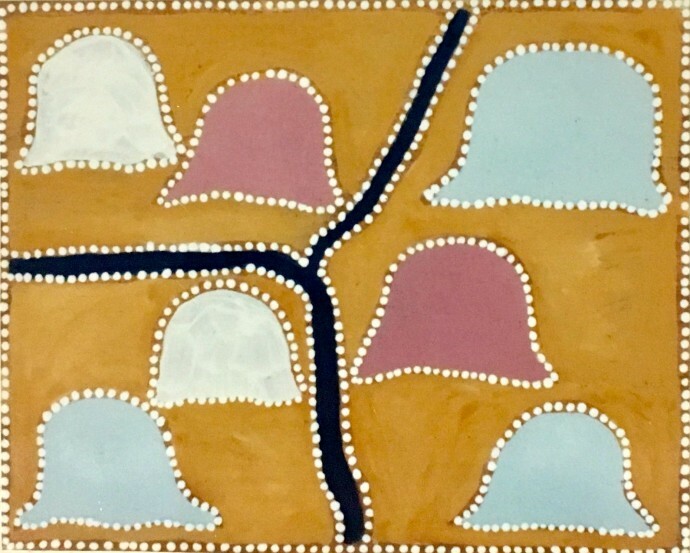 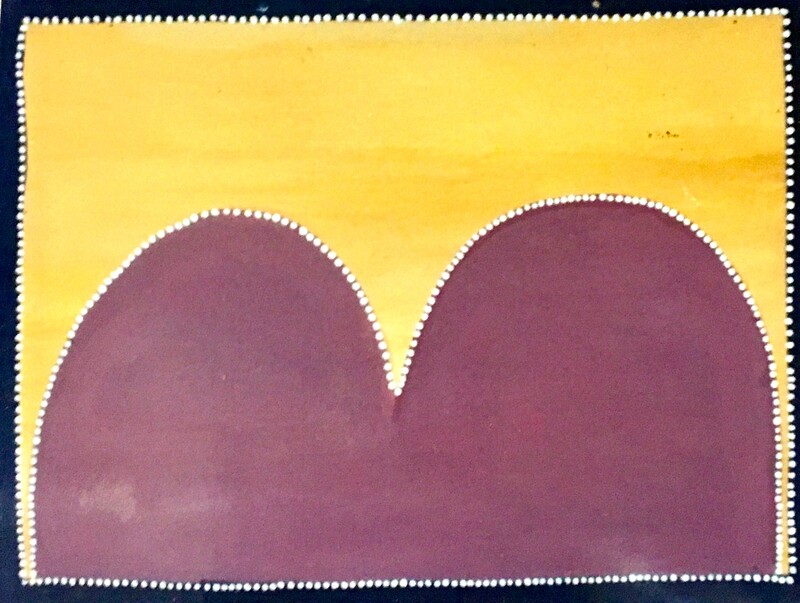 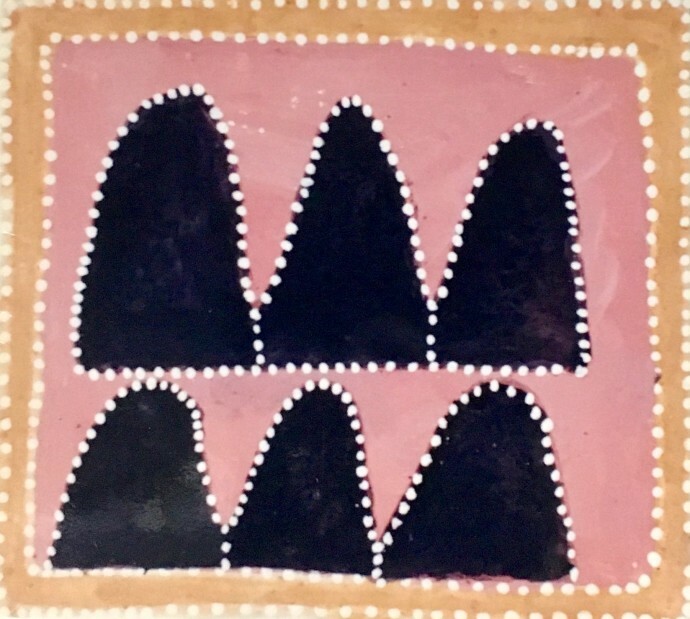 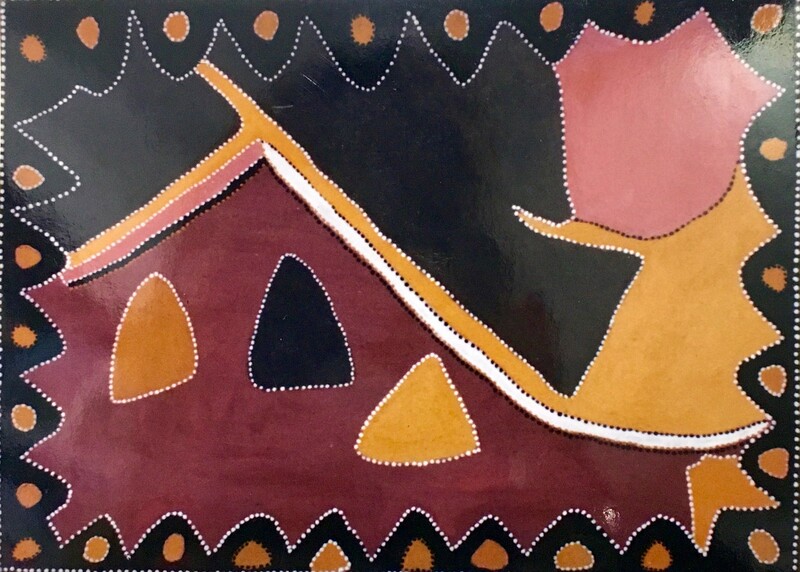 The Gija artists of Turkey Creek in the East Kimberley region of Australia look beneath the surface or skin of the country to the bones, or structure, which determine the compositional rhythm of their world. 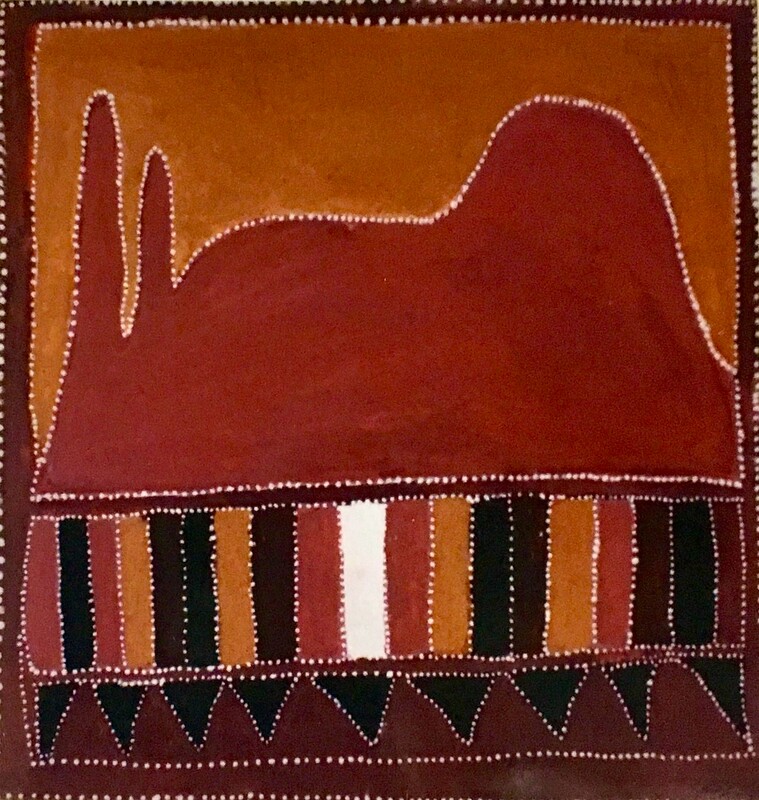 This is hill country, dense with spiritual associations, which fill the artists' eye and mind. 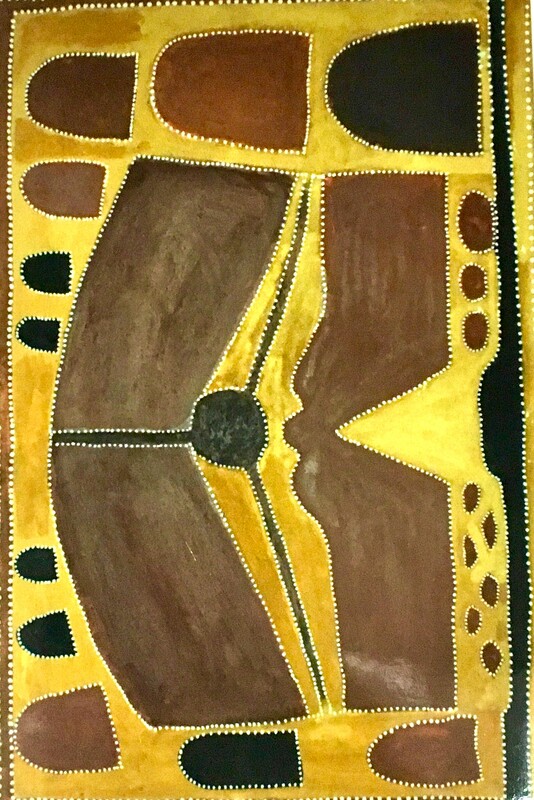 Goorlabal, the Rainbow Snake, moved through Laawoony country in the ancestral period. His skin patterning is reflected in the terrain which he created, travelled through and metamorphosed into, and which bears his sacred iconography. The snake has become the river, and the tributaries of the river, visible as arboreal forms into the air, echo the ribs of the snake. The paintings are created from a mixture of pigments and natural binder. 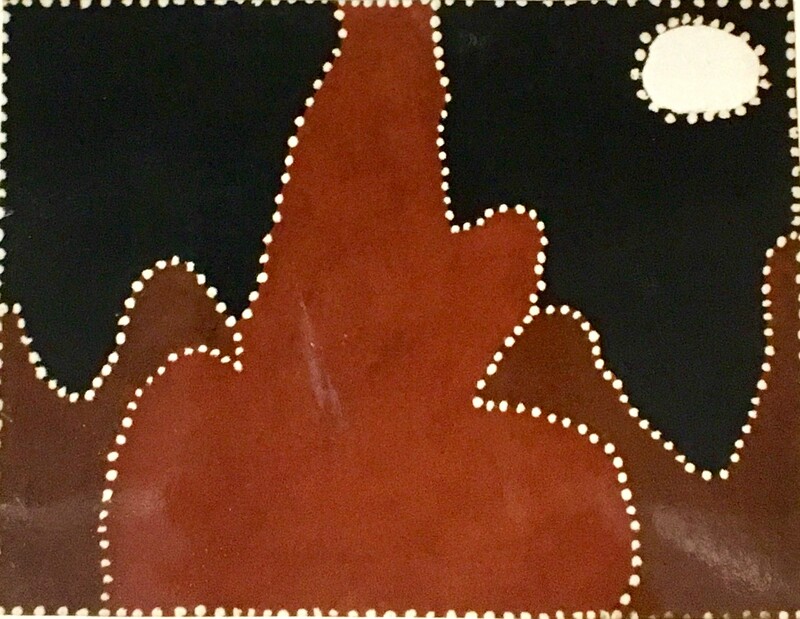 Pigment variations in tone and texture reflect the topography - charcoal suggests fire and burnt-out land; red ochre is the colour of desert country and the dust storms. The pigments are mined by the artists and in some cases remarkable colours are achieved. 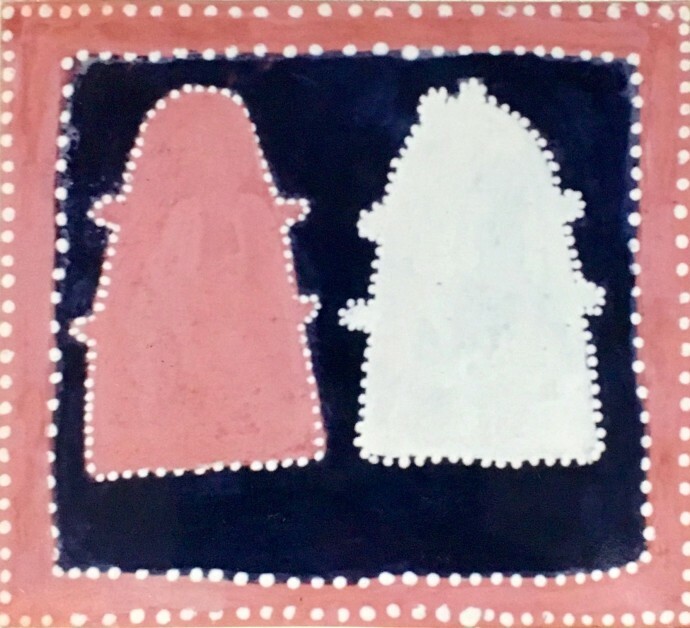 Queenie McKenzie regularly uses pink and purple ochre which she mines herself. 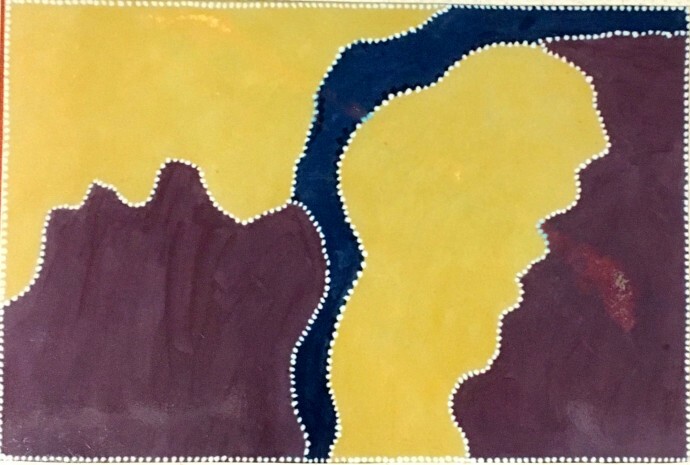 This is the first exhibition of artists from Turkey Creek to be held in Britain. 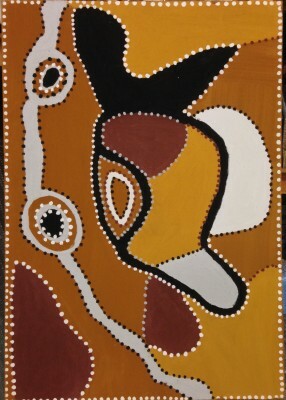 It contains the work of Rover Thomas, Queenie McKenzie, Jack Britten and Hector Jandany, amongst others.